Car, train, airplane, helicopter, taxi … Multiple options available to you to attend a game at the Stade Louis II. Highway A8 passes only 8km from the city centre and is easily accessible from France via Nice and from Italy via Menton. To reach the Principality, it is possible to follow “Basse Corniche” (N.98), between Nice and Monaco, along the seaside, the “Moyenne Corniche” (N7), through Eze-Village, “Grande Corniche”, passing through La Turbie and Col d’Eze at 512 m altitude. About forty parking are at your disposal in Monaco, including the parking Stade Louis II, which offers you special rates on match days.Download the access plan from the Highway. The train is an effective solution to reach the Principality. An extensive network of TER can reach the Principality daily via Nice or Italy. The Stade Louis II is easily reachable from the Gare of Monaco, (train station of Monaco) by foot, by bus or taxi.Download the pedestrian access plan from the station. Eighty-five taxis are at your disposal 24h/24h in the Principality. The Airport of Nice Cote d’Azur links the Principality with the whole world. From the airport, the road network takes you from Nice to Monaco respectively 22 km within thirty minutes by car, bus or taxi. Join Monaco from Nice in less than seven minutes? Only one way: the helicopter. 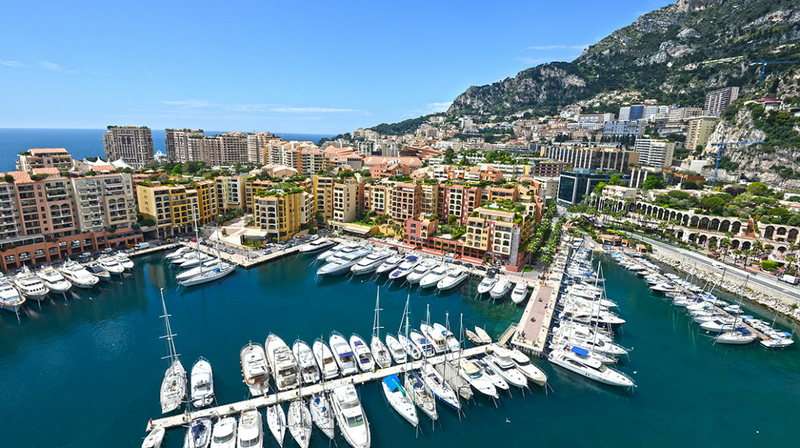 The Monaco Heliport is close to the Stade Louis II.